You. Now. In my life, forever. 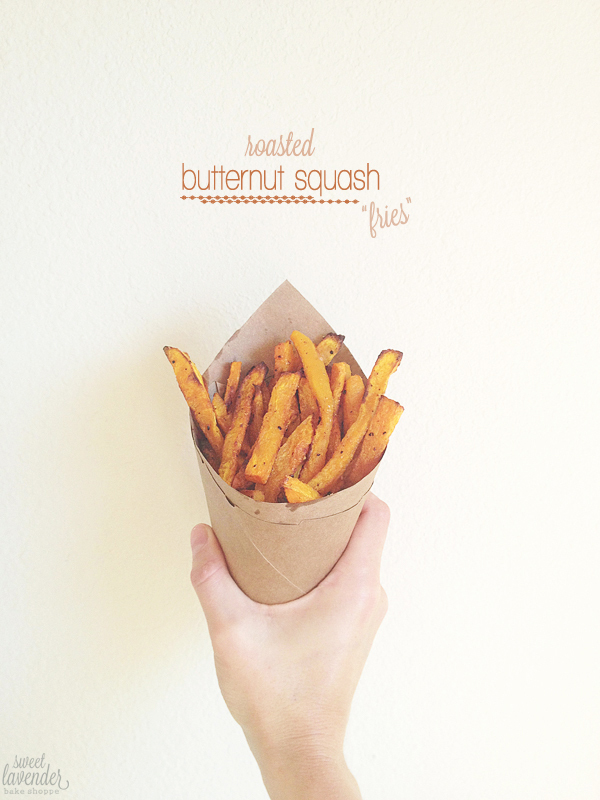 I know we've all heard of sweet potato fries...but have you ever had a butternut squash fry?? Crazy, right? Crazy good, is more like it! Who knew!? Certainly not me, that's for sure! We had two friends whose butternut squash plant went cray-cray, so they blessed us with a few of the cutest little squashes! I mean, they couldn't have been more than a pound- pound and a half max, each! So adorable! I wanted to keep them as decoration, because I'm weird and love all things mini. My husband talked me into eating them because...well...he's all about tasty things he can consume ;) So glad we did- they were so yummy! Sure we've cut butternut squash up and roasted it. Yeah, we've halved 'em and stuffed the insides. And for sure, the stuff has been made into soup and such. But fries?? This is a first for me. Just as easy as roasting. 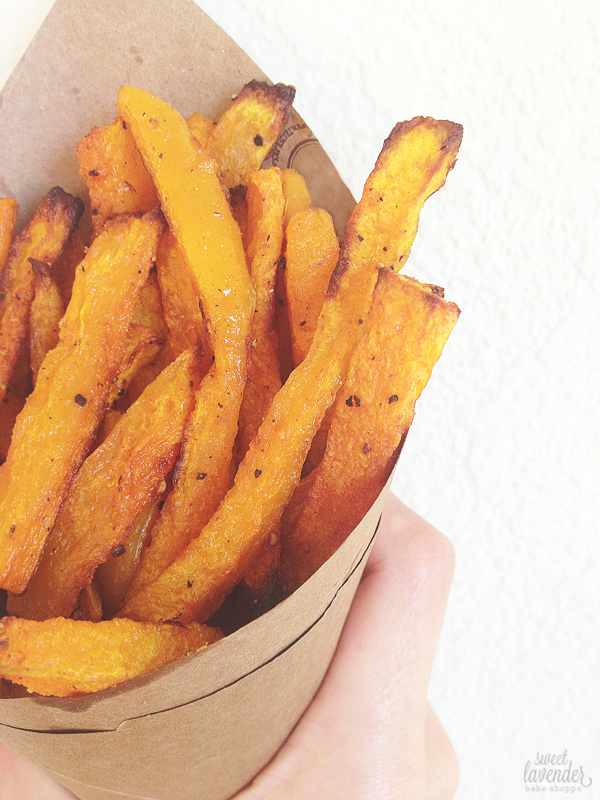 Just as tasty as the sweet potato version. A new favorite! 1. Preheat oven to 400°F and line a sheet pan or two with parchment paper. 2. With a veggie peeler, carefully peel the entire whole butternut squash of its skin. Cut the top and bottom off of the squash, and then cut in half length wise. Scoop out any and all seeds from inside and discard. A grapefruit spoon is great for this! 3. 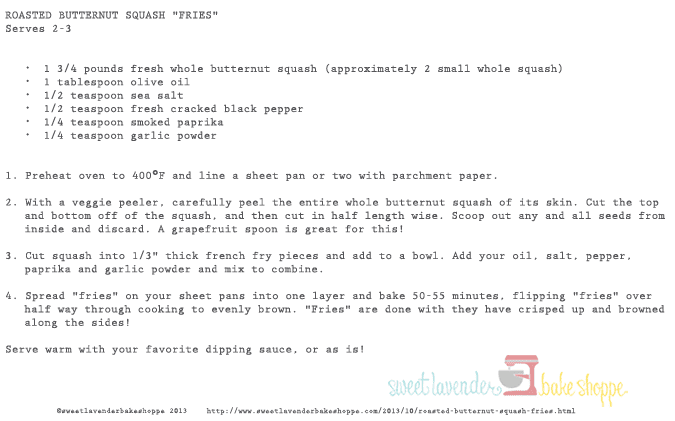 Cut squash into 1/3" thick french fry pieces and add to a bowl. Add your oil, salt, pepper, paprika and garlic powder and mix to combine. 4. Spread "fries" on your sheet pans into one layer and bake 50-55 minutes, flipping "fries" over half way through cooking to evenly brown. "Fries" are done with they have crisped up and browned along the sides! Serve immediately, as they will lose their crunch as they cool. Goes great with your favorite dipping sauce, or as is! Oh man. I'm going to make these this weekend! Theses look so good! Saving this for later. These look outstanding. I think I am going to add this to the Thanksgiving menu this year!